Enwaste mission is to provide liquid waste management services, safeguard the environment, and encourage recycling to achieve a safe and heaIthy society for current and future generations. 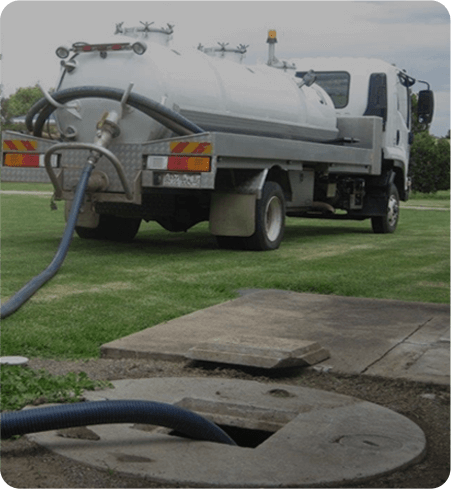 Our company is committed to offering the best management of liquid waste through the most effective removal and disposal methods, as well as recycling in order to protect the environment. We make an effort to offer services in an affordable and safe manner. We are thorough in providing a safe and prosperous work environment to promote respect amongst personnel and also to motivate all operatives to achieve their full potential. Our values provide the basis for our company’s processes and standards. Our values will always remain constant although the world around us is changing. Honesty – We are sincere and use the highest degrees of integrity and fairness in working with our customers and one another. Accountability – We are experienced, proficient and motivated. We take complete responsibility for our actions, conduct and decisions. Safety – We care for ourselves, our fellow workers, customers and our neighbours. We follow the guidelines and procedures, and we don’t get it done unless it can be done safely. Professionalism and Reliability – We are the best at what we do. We trust each other and follow through on our promises. We recognize that to achieve the perfect outcomes for our customers, we have to be making use of the best suited equipment. Having a fleet of modern trucks means we certainly have the scope and capacity to perform a wider variety of waste management tasks. 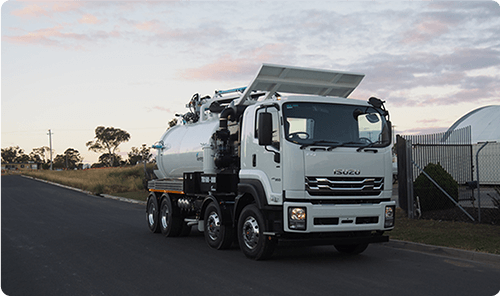 Furthermore, our trucks are installed with suction pumps which can handle projects easily, helping our clients save money and time. In addition to acquiring advanced equipment and safety components on our fleet we aIso invest greatly in developing the skills of personnel. Through regular training and development program, we make sure that they know about the most current changes on the market and are always working to best practice. At Enwaste, we care about the earth. We see it as an obligation to leave it to future generations in a lot better condition than we met it. With our Think Green initiative, we collect and recycle organic substance such as grease trap waste, green waste, organic wastes from commercial processes, as well as biosolids waste materials produced by sewage treatment plants. These recycled products are used for garden soil, conditioners, potting mixes, composting, land treatment, forestry and agricultural purposes. Biosolids and organic products applications are used on large-scale farming and mine site treatment projects across Australia. While waste materials may seem like a regular part of day-to-day life, they have an amazing potential. We consider all waste materials as a resource and we use our facilities and systems to transform it into valuable products for businesses, industries and communities. By retrieving these remarkable organic resources, we are very happy to be making a lasting future possible.